Fully revamped with excellent geometry and componentry delivers versatility. Specialized Enduro 29er in red and gray is one of four color schemes. The Specialized Enduro was part of a very significant bike movement as it burst into the scene with the last update on February of 2013. Here was a bike with big 29er wheels and 155mm of travel. It was a bike that was meant to be pedaled up and ridden down very fast. With a 67.5 head angle and 75 degree seat angle, it was very relevant matching it up with 430mm stays and a low 351mm bb. It was one of the landmark bikes of the last decade. So this new Enduro launched today has very big shoes to fill as it has to replace a legend but also has to compete with one of the most competitive and revolutionary categories in mountain biking. Specialized invited us to the Sunshine Coast of British Columbia to try the bike on very aggressive and varied terrain. We took the bike to the Coast Gravity bike park, a challenging XC loop and a shuttle ride on some very steep and fun terrain. 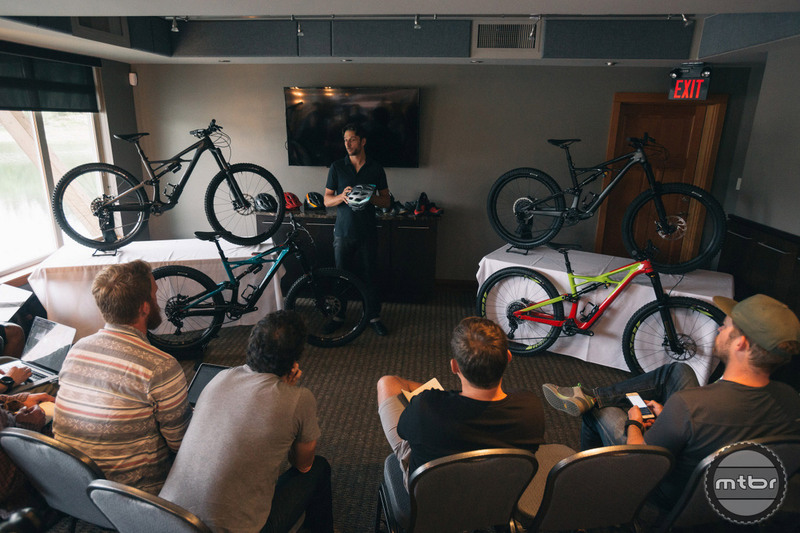 Bikes were launched to media in the Sunshine Coast of British Columbia. The outgoing bike had a 67.5 head angle for the 29er and 65.5 for the 27.5 model. 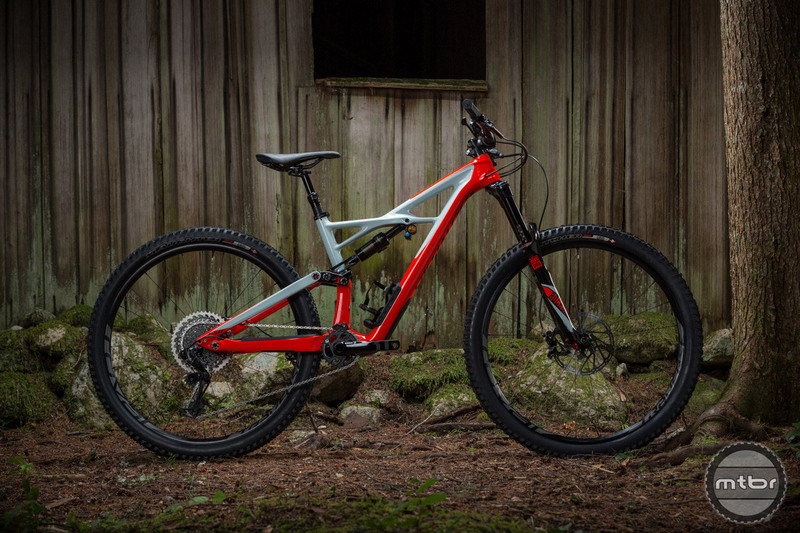 This new one slackens the 29er and 6Fattie (plus bike) version quite a bit to 66 degrees. This is matched up to a seat angle that steepens to 76 degrees. This makes it one of the steepest today but it certainly works well for climbing and the seat moves out of the way for descents with a dropper post. Stack for the old 29er was uncomfortably high for some riders at 632 for a medium and there was no small size available. This new Enduro comes in at much lower 609mm of stack. 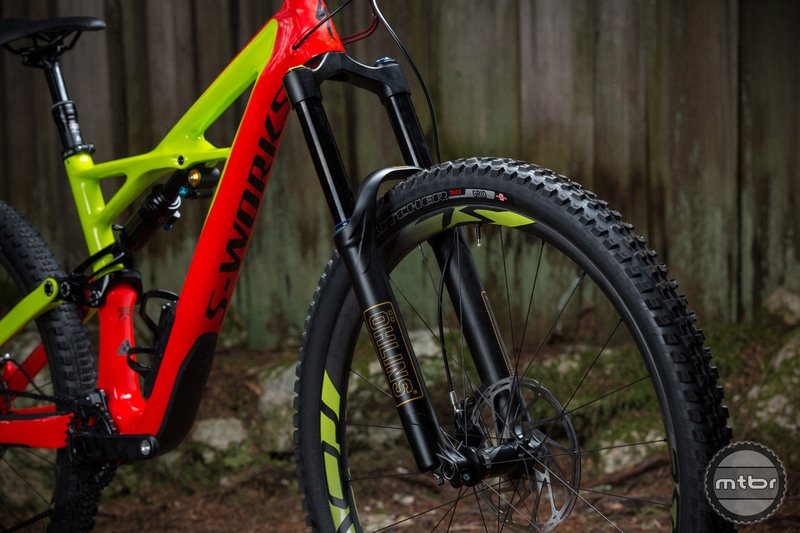 With this huge fit improvement, Specialized was able to now create a small version of this new Enduro 29er. Travel is good for aggressive descending as long as the bikes are not high, unwieldy and inefficient. The new Enduro achieves high marks on all those categories and is able to supply more travel on a bike that feels smaller and more nimble. Hailing from the west coast, Specialized is known for low bottom brackets with the outgoing model at 351mm. This is very low indeed given that there is 155 mm of rear wheel travel. The new model has 10mm more travel and generally maintains the bb height in the 29er and lowers it on the 27.5 model. The new Enduro has two frames, one for the 27.5 wheels and the other for 29er and Plus tires on 27.5 wheels. One can see the bb height variations below. The standout is the 650b x 2.8 tire variation that comes in at 339 mm of bb height. That is indeed very low for a bike with 165mm of travel. 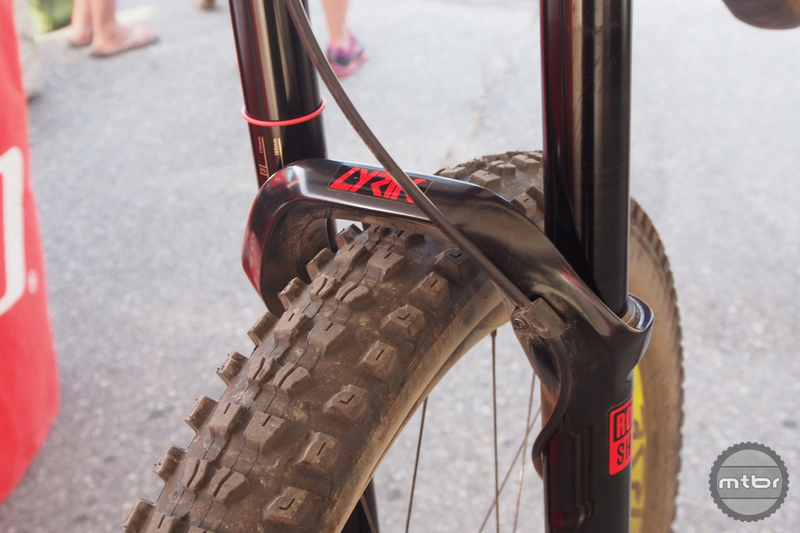 To counter the low bottom bracket height found in some of the setups, Specialized has moved to a shorter, 170mm crank length for the entire Enduro line. Some nice improvements, except for the reach. Short on that one again! Any word on when the 2.6 tires will be available? Somebody educate me on more than 125mm dropper. Is that seriously a big deal? I’ve always had droppers with 100-125mm and frankly as a 6’4″ rider I just can’t imagine missing more travel. I’d rather have a more reliable dropper than more travel all day. I am 6’5″. On steep descents and jumps I like my seat ALL the way down. Why wouldn’t I? Why would I want my seat sticking up more than it has to? This means I need 200mm travel in my post if I want to climb with the seat in the correct position. I’m getting by with the new Reverb 170mm, but it’s not ideal. 125mm would mean I’m climbing with a low seat (not efficient, bad for the knees), or my seat it sticking out more than it should when down. Are those prices for Canada or the States? So they should’ve “reached” out to you first before deciding on geometry? Funny how people objectively slam a bike for something subjective. Is everyone in need of the same reach as you? It’s only too low if you’re pedaling under compression. To be fair, this is not a pedal bike, so the focus is on thr down, ie low bb. The 125mm dropper is silly, 150mm minimum, 175mm is better, of course seat tube length needs to accomodate the post base, limits are limits. As to the short reach, this is what happens when you slack the hta and then steepen the sta to improve pedaling. All the new geo bikes have this issue, actually a non issue once you adapt. BTW, 66deg hta is not that slack… just saying. Wouldn’t steepening the seat tube provide more reach given the same effective TT length? I thought reach is measured horizontally from bb to head tube.